"Join me for this brief introductory tour of the Biblical sites in Greece. 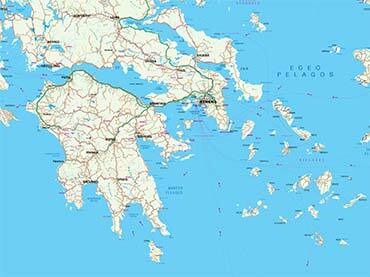 We will travel to all of the ancient sites that were associated with St. Paul’s journeys in Greece. Additionally, we will visit other important historical sites along the way, such as the famous Delphic Oracle and the monastic community at Meteora. 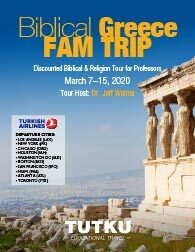 A discounted Familiarization Trip, such as this, is intended to acquaint professors and pastors with the many ways that Biblical tours can enrich students’ and parishoners’ understanding of the scriptures and enhance their spiritual development. I invite you to accompany us on this odyssey to the birthplace of western civilization." on Turkish Airlines Economy Class. We enjoy a scenic drive along the Aegean Sea to Kavala (ancient Neapolis), the port city of Philippi, where Paul landed by boat and first brought the gospel to Europe. 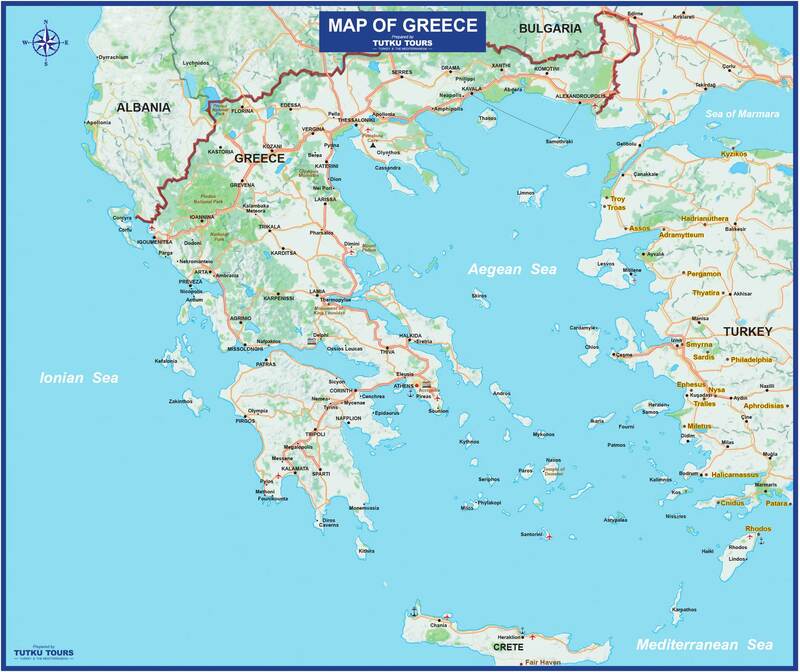 We’ll travel inland to Philippi, named after Philip II, the father of Alexander the Great. We follow the Via Egnatia which the apostle took into the city. Here at Philippi Paul preached his first sermon in Europe (Acts 16:13-15) and baptized the first Christian convert in the continent, a “certain woman named Lydia.” The Philippian church became one of Paul’s favorite congregations and many years later, while under house arrest in Rome, he wrote them a letter (Philippians) expressing his gratitude for their faithful support of his missionary activity. Extensive Roman and Byzantine ruins have been uncovered and there is a crypt where it is believed Paul and Silas were imprisoned. We leave Philippi and continue to follow the Via Egnatia to Amphipolis (Acts 17:1) to view the Lion Monument that Paul would have seen as he traveled by this city. 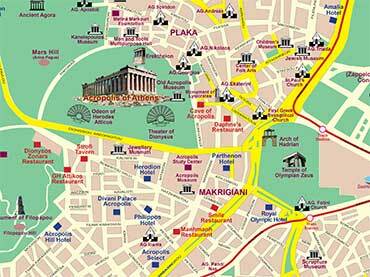 We pass by Apollonia (Acts 17:1) and return to our hotel in Thessaloniki (B, D). Paul spent a number of weeks in Thessalonica during his 2nd Missionary Journey establishing a church (Acts 17:1-9) to whom he would a short time later write two letters (1 & 2 Thessalonians). Visit the Roman Agora (marketplace), where a mob was formed against Paul and an ensuing riot started in the city (Acts 17:5) as well as the Archaeological Museum. Other impressive sites include the triumphal Arch of Galerius (AD 305-311), remnants of two beautiful Byzantine churches (Hagia Sophia & Saint Dimitrius), the ancient ramparts of the city, and the White Tower—the symbol of the city. We leave Thessaloniki for a brief visit to Berea (modern Veria), the place whose Jewish citizens “received the message with great eagerness and examined the Scriptures every day to see if what Paul said was true” (Acts 17:11). After viewing the Bema—the spot where tradition has Paul teaching the Bereans—and the beautiful monument dedicated to the apostle, we drive south to Kalambaka (B, D). Here are the famous Cenobitic Monasteries that are perched precariously on top of huge and precipitous columns of rock that rise up out of the ground, thereby giving rise to the name “Meteora,” which means “in the air.” It was in the 11th century that the first hermits sought refuge in the caves of Meteora where the solitude and spectacular vistas enhanced the mystic way of life. Eventually the hermits began to group together in monasteries whose buildings were decorated with frescoes and icons by the great artists of the day. After touring one of these historic and breathtaking monasteries, we spend the afternoon enjoying the scenic drive to Delphi (B, D). Located on the slopes of Mount Parnassus, in a landscape of unparalleled beauty and majesty, Delphi is the home of the Sanctuary of Apollo and the world-renowned “Delphic oracle.” Other impressive ruins found here include the Temple of Athena, a well-preserved theatre that seats 5000 people, an athletic stadium seating 7000, a gymnasium for physical training, various stoas, and treasuries. It is with good reason that Delphi is widely acknowledged as the most spectacularly beautiful ancient site in Greece. We also will visit the Delphi Museum, whose impressive collection includes an inscription concerning the governor Gallio (Acts 18:12), which plays a crucial role in establishing the chronology of Paul’s life and ministry. We end the day with a drive to Athens (B, D). Paul visited Athens during his 2nd Missionary Journey (Acts 17:15-34). We’ll see the Agora (“Marketplace”) of ancient Athens where the apostle dialogued with the Athenian citizens and philosophers (Acts 17:17) and also at the Areopagus (“Mars Hill”) where Paul addressed the city leaders (Acts 17:19-33). Before going up to see the Acropolis, we’ll stop at the New Acropolis Museum which helpfully explains the history of this world-famous place. 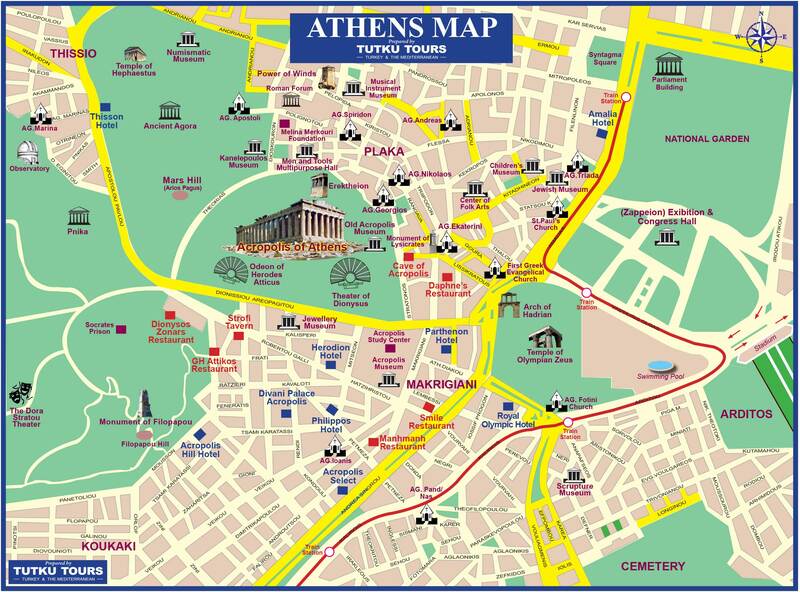 Then we’ll go up to the Acropolis, which towers over the city of Athens and which houses the Parthenon, a building so masterfully created that it has been the subject of architectural study since its creation. Equally impressive buildings on the Acropolis include the Erechtheion, with its Porch of Maidens, and the Temple of Athena Nike, the goddess of “Victory.” The area surrounding the Acropolis houses a number of other striking archeological sights: the Stoa of Attalos, the Theatre of Dionysus, the Odeion of Herodes Atticus, the Temple of Hephaestus, the Arch of Hadrian and the Temple of Olympian Zeus (B, D). After briefly stopping at the Corinthian Canal, we proceed to nearby Cenchrea, one of the two harbors of ancient Corinth from where Paul sailed on more than one occasion (Acts 18:18) and which was also the home of another early church and an influential Christian woman, Phoebe (Rom. 16:1). We then visit Corinth, the place where Paul ministered for 1½ years (Acts 18:1-18) and would later write at least four letters, two of which have survived (1 & 2 Corinthians). The city is located on the slopes of the Acrocorinth, a towering mountain rising 1,886 feet above the sea and crowned in ancient times by the temple of Aphrodite. Extensive ruins of Corinth are visible today, including temples, water fountains, shops, various public buildings, the largest Agora (“Marketplace”) in the ancient world and the Bema, where Paul likely met before the governor Gallio (Acts 18:12-17). The Corinthian Museum contains many significant artifacts, several of which have a direct link to events, items and people mentioned in the New Testament (B, D).